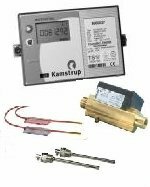 ICESA is official distributor of Kamstrup, with exclusivity in the area of Catalonia. Kamstrup A/S is a high-tech company founded in 1946, whose headquarters is in Denmark, near the town of Skanderborg. 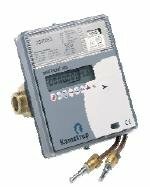 Kamstrup is one of the world's leading manufacturers of system solutions with energy meters for electric and thermal energy. - Ultrasonic flowmeter ULTRAFLOW® for HEAT (15ºC - 130ºC). - 1,5m connection cable between flowmeter and integrator. It can not be extended nor disconnected. - Ultrasonic flowmeter ULTRAFLOW® for HEAT with 2,5m connection cable to integrator. (This cable can be ordered with 5m or 10m length - see prizes below). - Ultrasonic flowmeter ULTRAFLOW® with 2,5m connection cable to integrator. (This cable can be ordered with 5m or 10m length).